Silicone-free and sulfate-free, AVRIL Organic Repairing Conditioner detangles and protects dry hair and damaged hair. Rich in nourishing Organic Argan Oil and softening Organic Aloe Vera, it coats hair fibers with a protecting smoothing layer. Essential hair care, Avril Natural Repairing Condition leaves your hair silky soft, intensely nourished ! Avril Natural Conditioner is the ultimate hair care ! 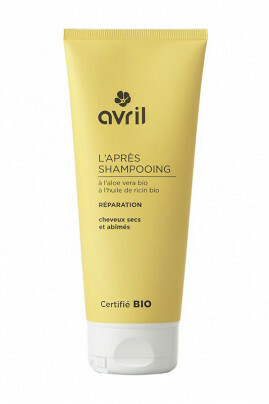 After shampooing, apply Avril Repairing Organic Conditioner evenly on lengths and ends. Leave on for 5 to 10 min then rinse. Enjoy healthy looking hair after using silicone-free conditioner !